It all started so innocuously. About a year ago, I saw a tweet from an author friend with a link to her latest blog post. 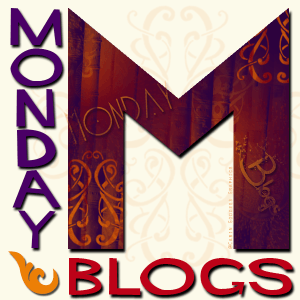 I can’t recall what the post was about, but I noticed that she used the hashtag #MondayBlogs. Interesting! I thought. I was just getting familiar with Twitter, and figured #MondayBlogs was just a hashtag people might choose to use if they blogged on a Monday. But then, over the next few weeks, I started seeing the hashtag again and again. And I liked the sound of it. Monday—the first day of the work week—seemed like the kind of day readers might enjoying reading a few blog posts before getting back to business. Rainy days and Mondays can get people down (as the song goes) but some insightful blog posts might brighten it up. So one Monday, I decided to try it. I got up early, wrote a post about something (again, I have no idea what) and tweeted it out with the #MondayBlogs hashtag. And guess what? It got retweeted. A bunch of times. Now I’d learned enough about Twitter by that point to know it’s considered courteous to retweet something meaningful for a person who retweets for you, so I dutifully went through my list of retweeters and retweeted things for them. And lo and behold, a lot of them had posted that day with the #MondayBlogs hashtag. Still, though, I didn’t really understand. Fortunately, an author friend explained the phenomenon to me shortly thereafter. #MondayBlogs, it turned out, is a real thing! It’s a worldwide Twitter event that was started by the inimitable Rachel Thompson (@RachelInTheOC), and it takes place every single Monday. Here’s the lowdown on it. Anyone can use the #MondayBlogs hashtag if they tweet a blog post, but only on Mondays. Actually, it gets started on Sunday nights in the US, because people in other time zones are already experiencing Monday at that point. I should probably restate that the only things you should tweet using the #MondayBlogs hashtag are blog posts. No pictures and nothing pornographic. AND ABSOLUTELY NO BOOK PROMO. #MondayBlogs is for blog posts about pretty much anything EXCEPT book promo. Finally, after you tweet out your post, you should search for other posts with the hashtag #MondayBlogs and RETWEET as many of those as possible. In other words, #MondayBlogs users scratch your back, and you scratch theirs as well. It’s up to you if you want to retweet a blog post you haven’t actually read. Usually, I set aside a couple of hours on Monday morning just to read #MondayBlogs posts, and there are very few that I don’t retweet. That doesn’t mean that I love and agree with every single thing I read in all those posts, but I’m happy to share other peoples’ opinions, as long as they’re not being hurtful or mean. There are a few more rules that I’ve linked to here. Don’t worry, it’s all very simple. So why have I come to love #MondayBlogs so much? Well, in three words, for the relationships. If you’re a writer, you’ve probably been instructed to use social media to cultivate relationships with readers and other writers, but if you’re like me, that can seem pretty daunting, especially when you’re starting out. For the entire first year I was on Twitter, I met only one new person. She was very nice and we had a few things in common, but after chatting back and forth a bit, we sort of ran out of things to say. As for Facebook, the only people I knew on there were people I’d met in the flesh. Which is great—my friends are great—but I wasn’t cultivating many new relationships. But #MondayBlogs changed all of that. Once I got a sense of what it really was, I started using it on as many Mondays as I could. Then I found out something even more exciting. You can tweet a blog post using the #MondayBlogs hashtag, even if you didn’t write the post on Monday. Heck, you can even tweet a post you wrote and posted years ago. So there’s no pressure to crank out a brand new post each Monday morning. It took a while, yes, but #MondayBlogs has truly helped me understand the true meaning behind social media. For a while, I thought of some of my new acquaintances around the world as Twitter friends, but now I just think of them as friends. And almost every week, I meet someone new. So thank you, Rachel Thompson, Kate Tilton, Will Van Stone, Nillu Nasser Stelter and all the other people who work so hard to make #MondayBlogs work so well. Mondays would be a lot less fun without you. This entry was posted in #MondayBlogs, events and tagged blogging, internet events, Kate Tilton, MondayBlogs, publicity, Rachel Thompson, relationships, writing. Bookmark the permalink. I love #MondayBlogs, Mary! And you’re the one who introduced me to it. Thanks! I’m so glad, Sarah! Will be looking for your #MondayBlogs posts to read and tweet! Great information, Mary! I’m new to social media and still trying to figure out its worth for writers. You’ve offered me a new path to explore. Thanks! Jayni, I think you will really like Monday Blogs. Here’s hoping you give it a try. I’ll look for you on there! Thank you for this explanation. I’d heard of #MondayBlogs but never knew how it worked. I’m going to give it a try. Awesome, Laura! Best of luck. I hope you love #MondayBlogs as much as I do!